Insurance and the IoT are becoming intrinsically linked. Even if you’re not familiar with the term, “IoT,” you’re actually probably already using it. IoT means the Internet of Things, and it refers to today’s connected devices, including the Wi-Fi that you’re probably using to read this article. But the IoT is more – and getting bigger every day. It’s the computer in your car that captures driving data and sends it to manufacturers — or insurance companies via cloud technology. It’s the Fitbit on your wrist that measures your steps and sends it to the Internet for you to track your progress online. From your refrigerator to home security systems that you can monitor remotely, the IoT is all around us. But insurers are now benefiting in new ways from the data collected by IoT devices. Here are just some of the latest ways the industry is harnessing the power of the cloud-driven technologies. 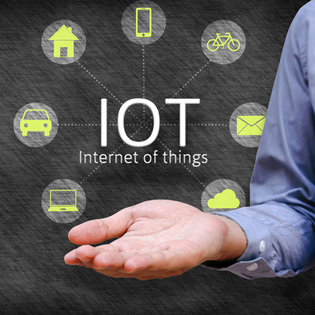 IoT devices are typically made up of hardware, such as a phone app or a smart sensor, a cloud provider to transmit the data, and an online platform that captures and analyzes the data. The entire paradigm is tied to computer software that makes all these links in the chain interoperable. So how are these tools being used in insurance? One example can be found in the auto insurance industry. Auto insurers have generally based their premium assumptions on actuarial accounting models that extrapolate data and apply it to a group. For example, insurance rates of young drivers are higher, regardless of whether they have had an accident. The parents of teenage drivers are similarly penalized. But new IoT devices and phone apps are now tracking driver data in real time, by simply riding along and then transmitting driving data via cloud technology. The data is analyzed and insurance premiums are changing, based on real, actionable data, thanks to IoT devices. Residential home insurers are now offering discounts to owners who install a smart device. State Farm, ADT, and Lowes came together in 2013 to offer smart thermostats, smoke detectors, and alarm systems. Digital Trends predicts this practice will increase and become the norm with home insurers by 2019. Health insurers and hospitals are now encouraging patients to utilize healthcare IoT devices worn on the body to capture physical activity and other data like heart rate or sleep patterns. Information Week suggests one application could be for degenerative osteoarthritis in the knee of elderly patients. Because the patient activity is so important to determine the correct course of treatment, a wearable device can help provide a full understanding of the best medical response. This data can more fully inform the insurance carrier and the physician about the patient’s physical health. It seems to be true that the connection between cloud providers and digital devices has created new avenues for insurance carriers to pursue. It will be interesting to see what’s next in the marriage between high tech and big insurance. Request a Quote and get an assessment of your IoT readiness.